A Vision Of Angels: Meet Ros Place. What Is Her Vision Of Angels? A Vision Of Angels: Meet Sue Broome. What Is Her Vision Of Angels? A Vision Of Angels: Meet Raúl Estevez. What Is His Vision Of Angels? The heart and soul of A Vision Of Angels is to share the many visions and connections people from all walks of life around the globe are experiencing every day in their own, daily lives. Anayah Joi Holilly and Carol Anne Cross share wonderful people, just like yourself, from all walks of life from all around the world, their own personal vision of angels, and the different ways they work and connect with them in your everyday lives. Hearing others experiences so often becomes a bridge to our own understanding, and even our own ah-ha moments, don't you find? Meet Raúl Estevez Raúl has had the life long ability to speak to the angels. From a young age he has been able to receive messages from them, beginning with a relationship with Archangels Michael and Raphael. Raul continues to communicate on a daily basis, and now has created his work on that loving relationship. How did Raúl's personal relationship with Archangel's Michael and Raphael lead him to his current career? Let's find out! Love - there is no greater power in the Universe. Love IS the Universe and we are all love. Experiencing that love and peace can feel elusive as our ego constantly fools us into thinking we are seperate and alone. Experiencing peace and harmony when life is troubled can feel very lonelyand this is where your angels are a brilliant help and support system. Anayah Joi Holilly, Trudy Griswold, and Darren Snell share tips and techniques that will guide you back to your true spiritual essence - with the help of the angels and the power of Love! Call in on +1 (if you're outside the USA) (347) 202-0232 or USA (714) 583-6858 to speak to Anayah, Darren, and Trudy, or for a free mini angel coaching session - we'd love to talk to you! *ANNOUNCING OUR BRAND NEW ANGEL LIFE TEAM MEMBER! * Darren from DinaNDarren joins Anayah and Trudy monthly, on Angel Life, and we are very excited to welcome him to our loving team! Callin in! Dial USA (347) 202 02 32 OR (714) 583 68 58 to speak with us on the show! 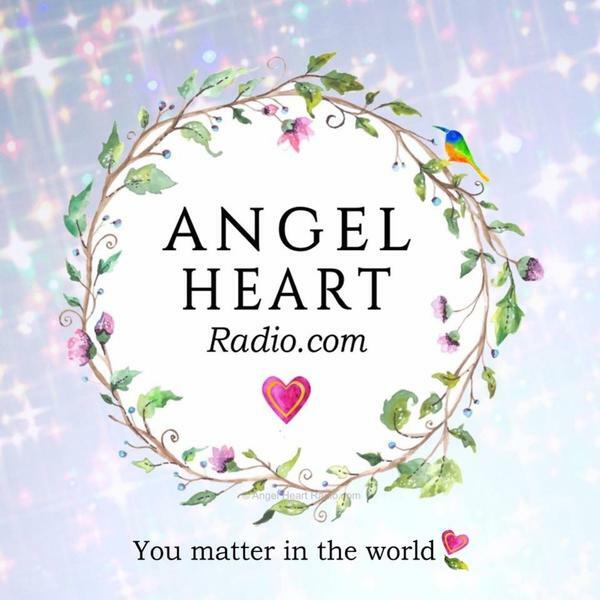 WRITE IN WITH YOUR QUESTION: If you can't call in, ask your question by writing to love@angelheartradio.com and put Angel Life Question in the subject line and we'd love to answer it for you on air. A Vision Of Angels: Meet Carol Anne Cross. What Is Her Vision Of Angels?